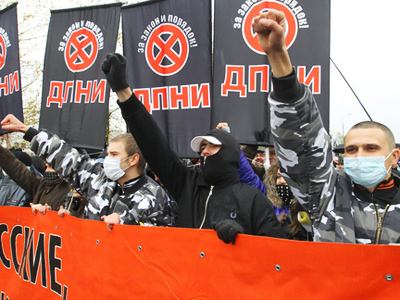 A new organization uniting leading nationalist movements may appear in Russia, Aleksandr Belov, the founder of the Movement Against Illegal Immigration, or DPNI, has said. 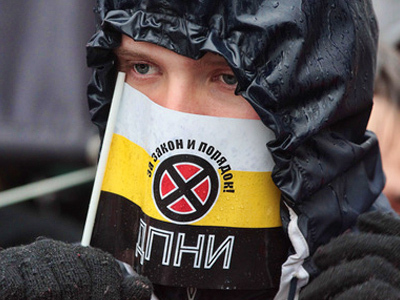 In an interview with Interfax, the group’s former leader suggested that in the future the entire nationalist movement in the country will be “reformatted”. “It is highly likely that a unified organization will be created and the spector of its interests will widen and involve not only the issue of illegal immigration but also political and social demands,” Belov said. As to whether nationalists will go into politics and create their own party, Belov said it is too early to speak about that and he is not entitled to make such comments. “But it is obvious that the possibility of registering such party and participating in elections is close to zero,” he added. Earlier this week, the Moscow Prosecutor’s Office suspended the DPNI activities after it had concluded that the movement was “pursuing extremist goals and objectives.” The final decision though is to be made by the Moscow City Court. Meanwhile, the Federal Migration Service (FMS) believes shutting down the nationalist movement was not a good idea, since it would only serve to bolster the group’s standing and so far it hasn’t enjoyed much support among the population. “From our point of view, DPNI activities were neither good nor harmful,” Konstantin Poltoranin, FMS spokesman, told the agency. “It had no independent programs, no support within society. What would change with its closure? Radical measures can only provide publicity for such organizations.” The solution, according to FMS, would be taking either criminal or administrative proceedings against activists in movement, who violate the law and foment inter-ethnic discord. Member of the Public Chamber Iosif Diskin, on the contrary, believes that the DPNI should have been shut down long ago. “Each time this movement organized any event, it would end up with…mass disorders. 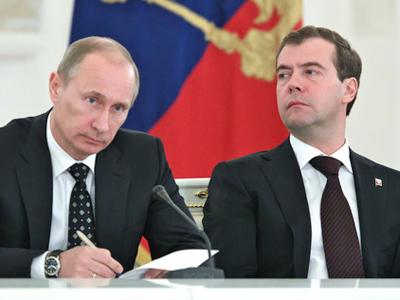 Therefore, it has been a while that there was a legal basis for suspending its activities,” he told Pravda.ru. 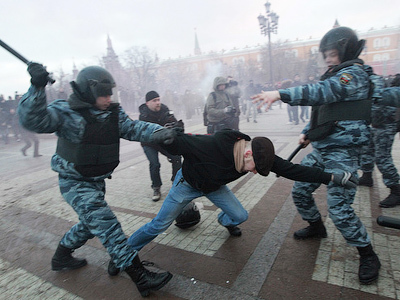 Lately, nationalistic moods have been on the rise in Russia and climaxed in a riot on Moscow’s Manezhnaya Square on December 11. 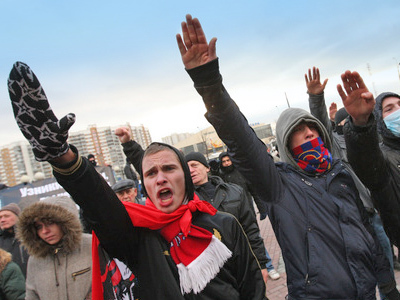 Initially a crowd of youths gathered near the Kremlin to mark the death of a football fan that was killed in a fight with ethnic North Caucasians. The meeting soon snowballed into a nationalist brawl with ethnic minorities and police being attacked. The country’s leadership has been seeking a solution to this thorny issue and trying to educate the country’s multi-ethnic society to live in peace and respect one another. 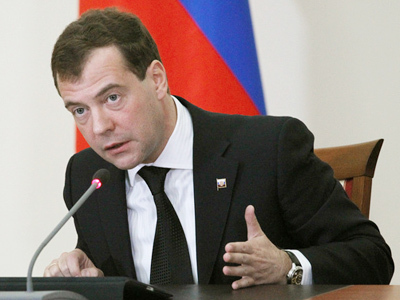 According to President Medvedev, "inter-ethnic conflicts are lethal for Russia, no matter where they occur”.